As an officer of the law, Anton has nerves of steel. 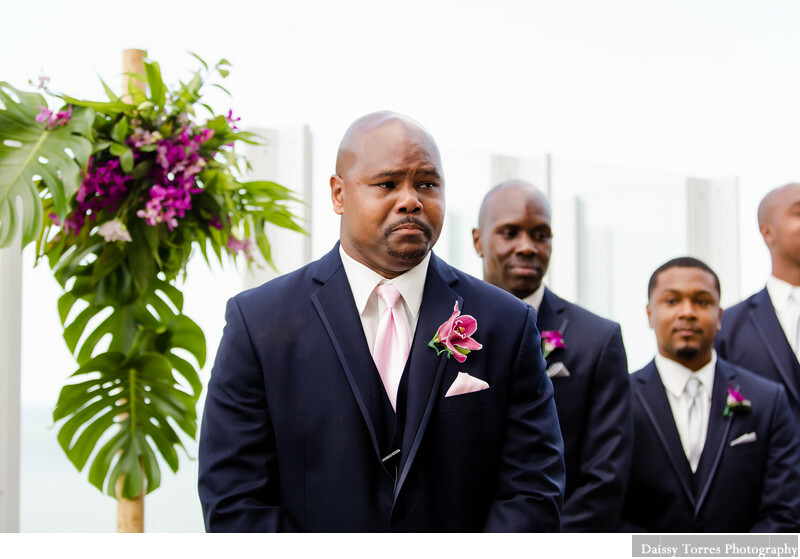 However, when he saw Akira walk down the aisle during their Oceanaire Resort ceremony, he couldn't hold back and his emotions took over allowing me to capture such a beautiful moment. Location: 3421 Atlantic Ave, Virginia Beach, VA 23451.